In her blog last Friday, DeeAnne wrote about the importance of following through on your commitments to demonstrate integrity. 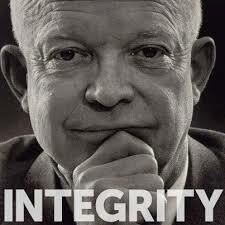 Equally important to integrity is the act of just talking straight as leaders. In order to inspire trust from followers, leaders need to not only tell the truth, but leave the right impression. With Super Tuesday approaching tomorrow, it seems we are in the thick of things with presidential candidates who are not talking straight. These leaders posture and position, some seem to withhold information or use double-talk, and most of them spin their communications to manipulate the thoughts, feelings, and actions of others in search of votes. After listening to sound bite after sound bite in the news, I’m left in a quandary with who to trust and who to put my support behind. I’ve made this kind of deal a few times myself–and, on balance, my actions have cost you money. I didn’t do that job very well last year. My hope was to make several multibillion acquisitions that would add new and significant streams of earnings to the many we already have. But I struck out. Rather than address the situation head-on, however, I wasted several years while we attempted to sell the operation….Fault me for dithering. Wow! Now that’s integrity. Buffett just lays it bare. And communicates honestly. As a leader, what can you do to make sure that you are talking straight? My vulnerability to my own life is irrefutable. Nor do I wish it to be otherwise, as vulnerability is a guardian of integrity. — Anne Truitt, sculptor and psychologist. It is scary to be vulnerable! In fact, that is why I like being the facilitator rather than a participant. When I am in the front of the room I am always prepared and ready for what is next. I won’t be asked to share and I won’t be caught off guard. Leaders face the same issue with being vulnerable. It can be hard to share that you don’t have all the answers or that you have made a mistake. You may fear that your uncertainty or missteps will be used against you or cause others to lose confidence in you. Yet that same fear can sabotage your ability to demonstrate your integrity. To be an effective leader you must balance this type of vulnerability with competence. People need to have confidence that you can do your job, as well as see you as a real person who is vulnerable and trustworthy. That is integrity in action. When was the last time you shared a real concern, or talked about a mistake you made, with someone on your team? How did it go? 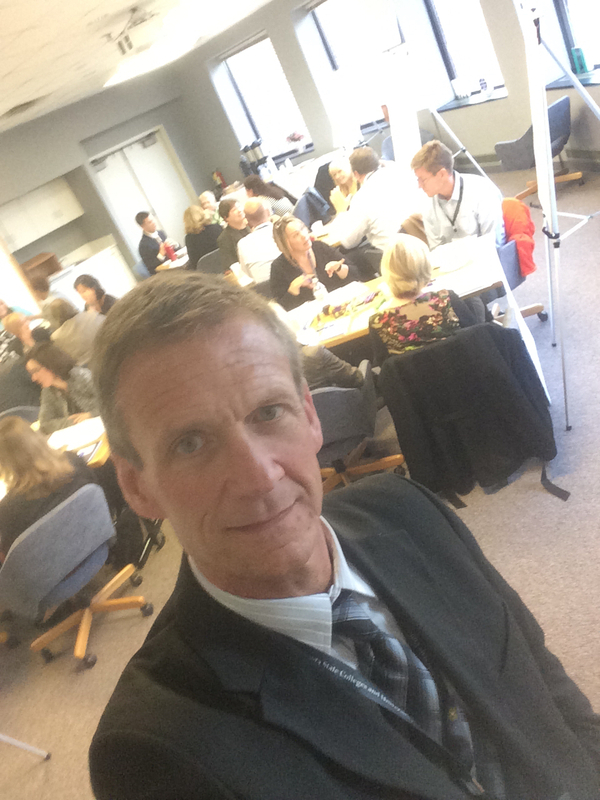 Much of my work today and the work of most leaders in higher education gets done through collaborative efforts with others. 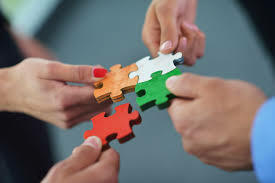 I can’t think of one major project I’ve worked on lately that hasn’t required strategic thinking and input from others, co-writing or co-editing, group planning, or team facilitation and implementation. That said, I’ve been very cognizant about the importance of giving credit to others. When rolling out a new program, launching an event, or producing a new product or resource for leaders in our colleges and universities, I’ve found it essential to acknowledge the contributions of others. It increases transparency in the process and it generates goodwill and a sense of ownership and pride among those who have contributed to the effort. Still, it can be easy to overlook giving credit to others. Just last week, I was consulting with a colleague who has been editing a training handbook. The creation of the 50-page handbook has taken more than nine months in the making and has involved numerous contributing writers, editors, and proofreaders. I noticed that there was a brief acknowledgement of the committee that had led the work, but it was buried at the end of the publication. It also didn’t include the names of those who had contributed significant investment of time in writing the content, nor a mention of my colleague’s essential role either. After our talk, my colleague moved the acknowledgements up to the inside cover of the handbook and included the names and roles of each contributor, giving them proper credit for their work. It was a simple oversight. Yet, not giving credit to others could call into question the integrity of the project leader or the project itself. What do you do to make sure you are giving credit where credit is due? Where might you need to think more carefully about giving credit to others? She reminds leaders that the intensity and pressure of performing at a high level and needing to respond to the enormous challenges in higher education can encourage or nudge small but consequential choices that actually destroy integrity. To safeguard yourself , a deep breath is required and a purposeful choice, even in the small stuff. 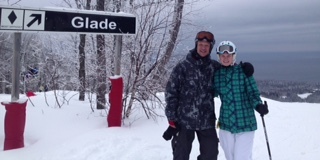 My daughter and I enjoy skiing tricky terrain when we visit the upper peninsula in Michigan. We’ve found that black diamond trails can be exhilarating, but they can also be dangerous. 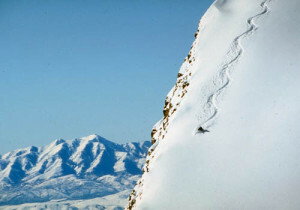 As with the small choices leaders make every day, we make purposeful choices to avoid falling down a slippery slope! About 20 years ago someone gave me a little book that I still have on my shelf. 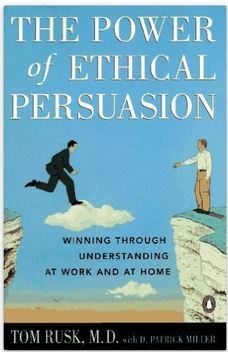 It’s called The Power of Ethical Persuasion by Tom Rusk, M.D. There are several reasons why I like it as a guide to communicating with integrity. First, the author makes the point that feelings are facts. For many of us, it’s easier to make leadership decisions that seem to be objective and rational. Considering feelings is harder. Rusk makes the point that leadership is about relationships, and relationships, at heart, are based on feelings. In order to have ongoing communication we need to understand the feelings that are involved and where they might be coming from. Second, Rusk provides a three-step model for communication that can be very effective. It’s not new – there are many similar models out there – but it’s easy to use as a reminder when things get heated. Step 1: Explore the other person’s viewpoint. Take time to reach mutual understanding before jumping into problem solving. Listen for understanding of the other person’s thoughts, opinions, and emotions. You don’t have to agree; just re-state their views until they feel confident you understand. It’s amazing how often people just want to feel heard. Step 2: Explain your viewpoint. Once you understand the other person’s view, ask them to listen to yours. Explain how their behaviors and feelings affect you, without blaming or being defensive. Explain things as your truth, not the truth. I’ve used many of Rusk’s suggested resolutions over the years and they have been helpful. What are some of your favorite tools for communicating with integrity? Happy Presidents’ Day! Last Thursday, I was having lunch with some colleagues from our colleges and universities. Since it was right after the New Hampshire primary, some of our conversation turned to the current presidential race. Several colleagues remarked about the frontrunners in the presidential race and expressed amazement that the two non-establishment candidates, with some of the most extreme viewpoints, have the most support. Another colleague said she thought they have more support because people trust that “what you see is what you get.” Those candidates don’t seem to be hiding anything or spinning their messages to satisfy constituents. Their behavior and messages are congruent and in that sense, have integrity. 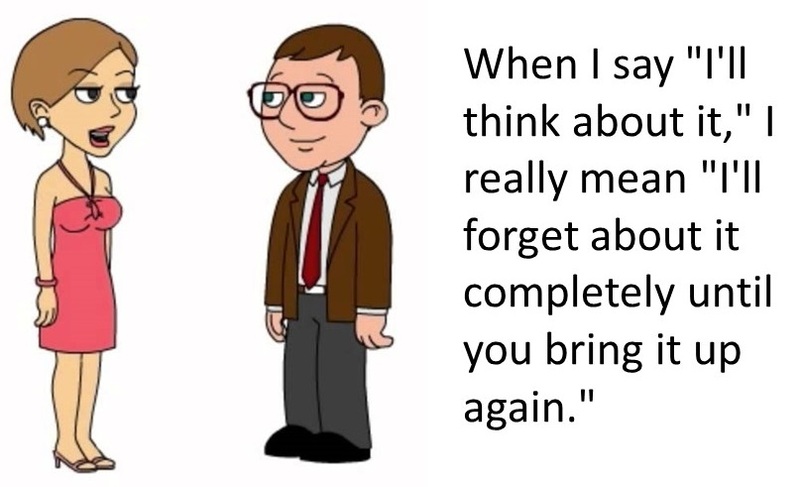 Interesting thought…. For your edification, I thought I’d collect some quotes from various presidents throughout history that shine a light on the importance of integrity in leadership. 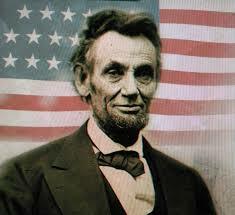 Enjoy and have a terrific Presidents Day!